How learning a new set of skills to plumb my project house reminded me of the emotional and mental rollercoaster of learning something totally new. This summer I am rehabbing/rebuilding a house across from my parents. To keep costs low we are doing the bulk of the work ourselves. This is something I learned from early in my youth, as my father was also a teacher, and each summer we completely built or remodeled a house between mid May and mid August. Granted, we took a decade or so off as my father started his second career in retirement and I found myself putting new sheet metal on a hog excrement pit covered in rat poo and decided my master’s degree could be put to more sanitary use teaching at the local college. But I digress. 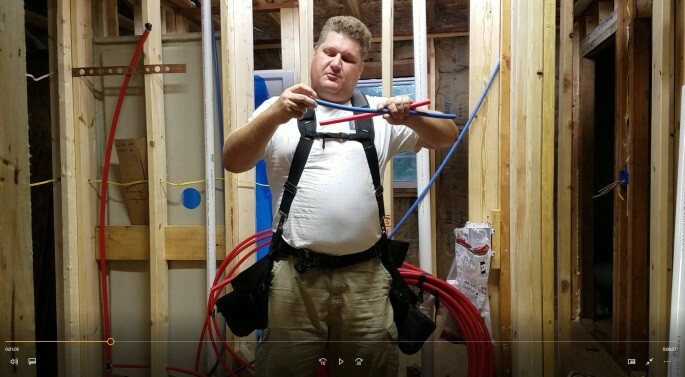 Technology and skills change in the residential building industry and it was time to learn a new plumbing system using cross-linked polyethylene (PEX). This was an entirely new system with different rules, methods, and restrictions. My plumbing/HVAC guy was kind enought to allow me to use his tools and work along side his team plumbing while they did HVAC. I would do the work, he would inspect and ensure I met codes and restrictions, in essence I was subcontracting for my subcontractor. While this sounds like a great deal, it is absolutely nerve racking as professionals in all crafts are proud of their work and protective of their trade, much like education. What it really meant was I was under the gun and under inspection to live up to expectations like every new guy on a crew. As a middle aged man, my new boss was the 24 year old plumber’s assistant. I received a VERY quick lesson in the tools and fittings and was sent to the crawl space to get started. It was here that I was accutely reminded what it is like to be a student, learning something entirely new, given an assignment, given a deadline, and expected to pass the test…err inspection. There were a few lessons I learned through this process that I think are very applicale to the classroom and are poinant reminders to me as a teacher what it is really like some days to be on the other side of the educational process. CLICK HERE to take a look at this 7 minute Vlog below. This piece is terrific in so many ways, not least of which is your willingness to learn something new. You have validated my effort to consider class structures more closely from my students’ point of view. What works and what doesn’t *for them*? How much and what kind of pressure & challenges am I putting on them? May your pipes always run clean….